Did you guys know that today is national wear red day! Being the fashion girl that I am, I found this to be a great reason to put on one of the hottest colors of the season. I decided to delve a little deeper to see why we are encouraged to wear red today. This day places the spotlight on heart disease. I was floored to find out that heart disease is the #1 killer of women. Ladies, let’s do better, by taking care of ourselves and taking the necessary steps to ensure good health. That means eating properly, working out, drinking lots of water, and taking care of our overall health. 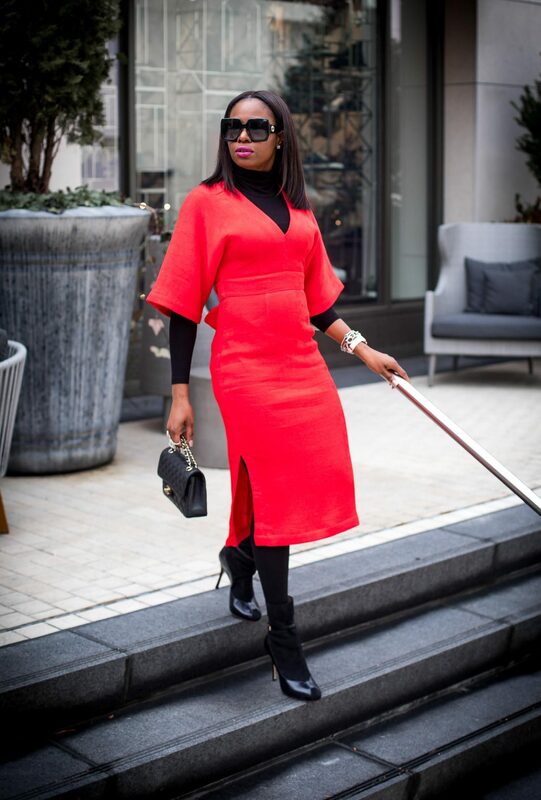 Today’s outfit of the day showcases a stylish way to wear a red midi dress in cold weather. 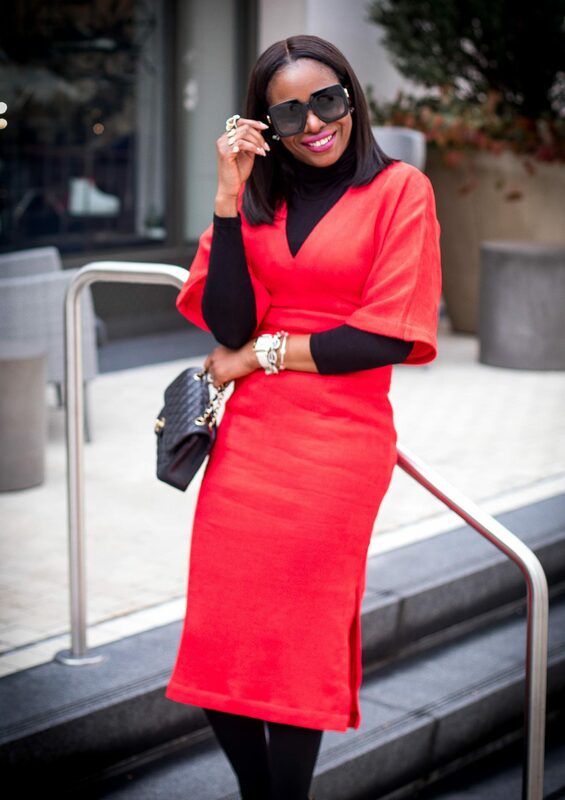 By layering the dress with black pieces, you frame the red perfectly. The key to getting this right is layering the dress with fitted pieces. 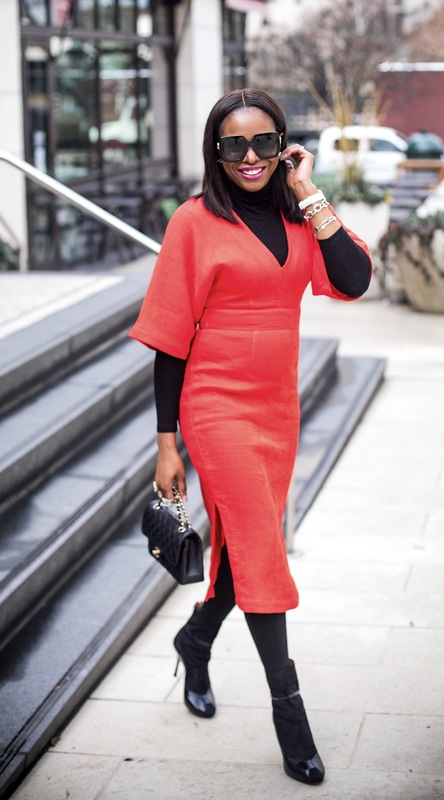 A fitted modal turtleneck becomes the ideal layering piece because it narrows the silhouette. The hosiery also elongates the body, creating a flattering narrow shape. To compliment this chic outfit of the day I introduced black and gold details to the look. These details, add a chic element to the outfit and complete this stylish outfit of the day.